Internet travel sites fight for customers in a highly competitive online environment. 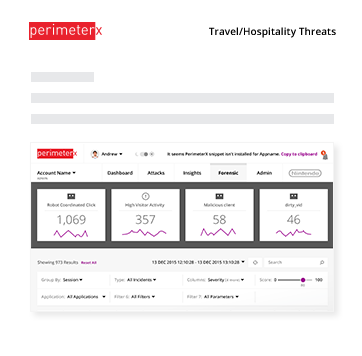 what makes any site attractive to customers for travel search and booking, will also make the sites ripe as targets for automated attacks and bots. Bots will steal availability data and current prices in order to give competitors a shopping comparison advantage. As well, they may re-purpose that data into their own service via bots to avoid a the cost and requirements of a partnership and a legitimate data feed. The bots can also scrape the travel and review content in an attempt to gain a search / SEO advantage with those doing travel research. Learn how we help.